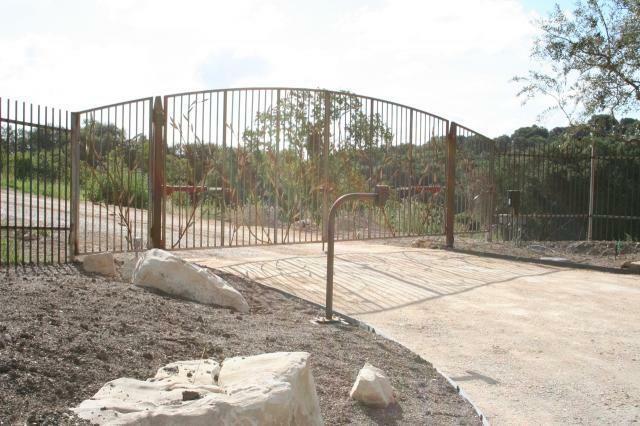 This gate is double wide with two openers and a pedestrian gate to the right. There are sensors in the upper driveway, a 2-way radio in the call box, plus all the recommended safety sensors The vine-and-leaf work is of a willow design. Everything was unpainted, left to rust, and being high in the coastal range, it’ll last for a long time.